It’s been years since I’ve had some good old homemade Chex mix, that most American of snacks. Only we Americans would take pre-made snacks like cereal, mixed nuts, and pretzels, butter and season them, and create a new snack. As a Chex mix fan, I am doubly wowed by this version made by my neighbor’s sister. 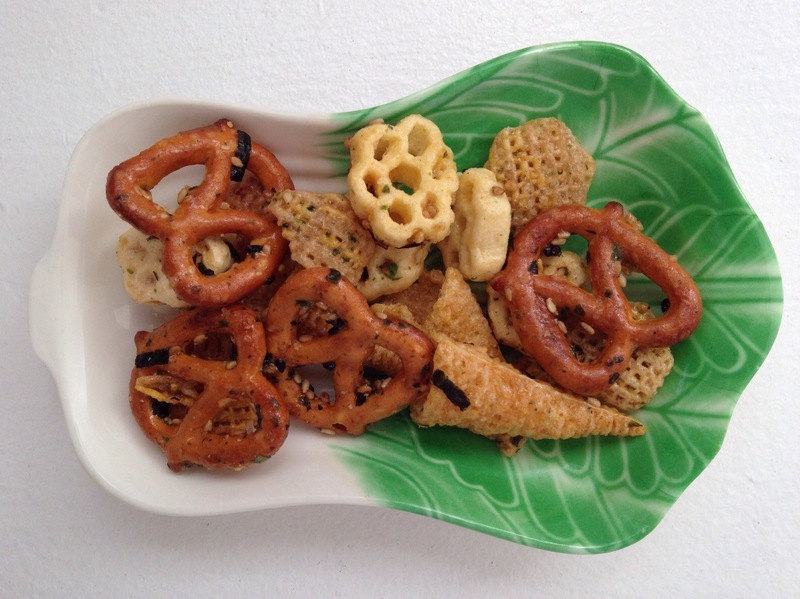 It is an over-the-top blend with salty Bugle chips and sweet Honeycomb cereal, and tastes like a crazy collision between Chex mix and a Japanese rice cracker medley, thanks to the creative addition of sesame and nori seaweed sprinkles. Like Hawaii, it’s a surprising mix of Asia and America. Happa comfort food! I’ll have to get the recipe. This entry was posted in Blog and tagged food, local time. Bookmark the permalink.